Deciding what breed of dog to get is as important as deciding whether to get a dog in the first place. There are over 160 breeds of dog recognized by the AKC, and each of these breeds has its own unique temperament, appearance, activity level and set of needs. 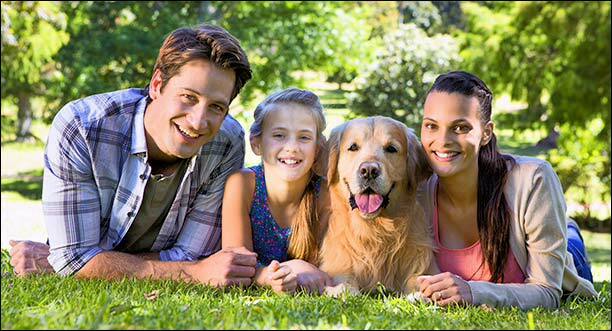 You should do some serious and careful research to determine which breed of dog is right for you and your family. The posts in this section are to meant to provide you with information and pictures of the two breeds we have in our family. Click HERE to read about the German Shorthaired Pointer. You’re going to be living with this dog for a long time, so you need to make sure he has a personality you can live with. Do you want a dog that is active, or subdued? A dog that is easily trained, or strong-willed? A dog that is friendly to everyone he meets, or one that is loyal to family but aloof toward strangers? A dog that needs a lot of attention from family members, and lots of activity to prevent him from becoming bored and destructive, or a dog that is content to be left alone for periods of time during the day? All dogs need to be groomed regularly to stay healthy and clean; most dogs will shed. But some dogs shed profusely all year round; some shed in clumps for a few weeks; some dogs shed only a little bit. Long-coated dogs are beautiful to look at, but require a lot of effort to stay that way. Short-coated dogs are easier to care for, but may still shed, and may require protection in cold or wet weather. Dogs with fancy trims may need professional grooming. Decide how much dog hair you’re willing to put up with, and how much time and energy you can afford, when you’re deciding which breed is right for you. Information on this post was taken from www.akc.org , and is meant only for a generalized summary to assist in the addition of a dog to your family. Please be sure to do your own research before adding a 4-legged fur-child to your family.